Denna produkt ger dig 1421 bonuspoäng. 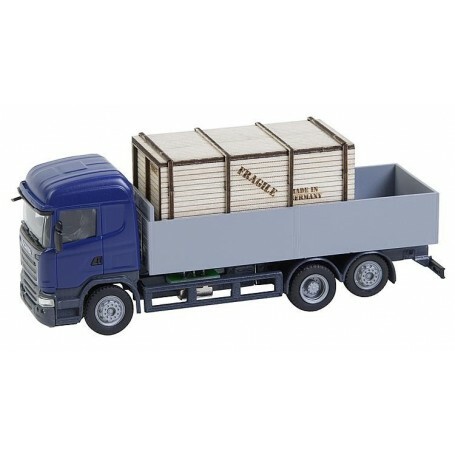 Lorry Scania R 13 HL Platform with wooden crate (HERPA), med drivning för Faller Car System. The models includes a crane console so that a matching loading crane can be mounted later (e.g. from Herpa, items 051484, 051507, 053037).